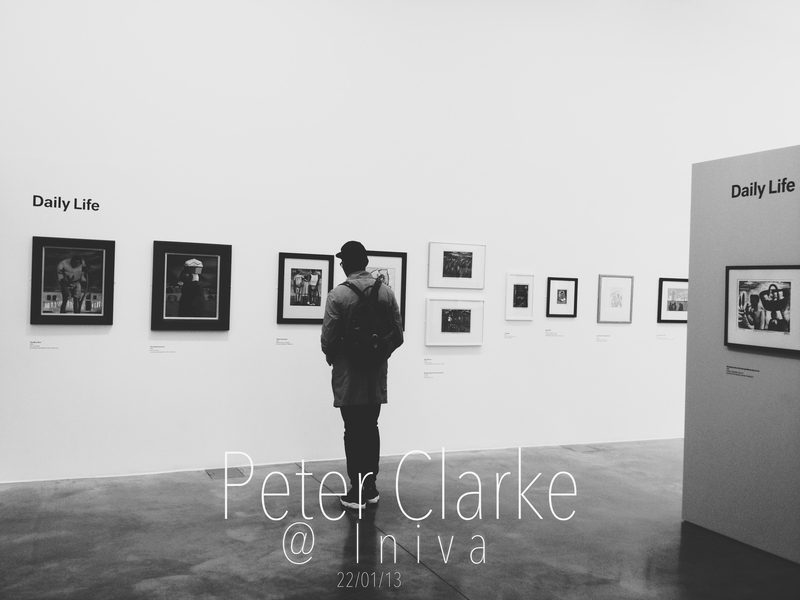 I finally viewed the Genius work of Peter Clarke at the Institute of International Visual Arts (Iniva- Shoreditch East London). All exhibitions I have previously visited at Iniva have been incredible. But there was something very different about this one in particular. As I quote in my twitter post, It was “Authenticity at its finest”. Now 86 years old and more so active in writing than Art, Clarke gave us a look in to his history. We dive in to his versatility of Lino Cuttings, Silver Print Photographs, Mix Media Paintings, His writings and interesting use of Gouache Paint. You can definitely stay in the space for a good amount of time, reading his writings of relevance and original satire. Though the humour is evidently there, we grasp a very serious and captivating side of the struggles within South Africa at the time. I feel as though Tessa Jackson (Curator) kept the seperation from the two exhibition spaces in mind. Given the fact that they are seperated by a journey of stairs. Therefore, there is a real difference between the upstairs and downstairs spaces. Outstanding thought and Curation by Tessa Jackson. A must see!